METALLICA drummer Lars Ulrich has once again spoken about how far the digital music industry has come since 2000 when the band launched legal action against Napster, claiming that the pioneering music file-sharing service was illegally allowing users to download METALLICA tracks without paying royalties to the group. Although the case was settled out of court, 300,000 users were banned from Napster as a result and METALLICA‘s image took a tremendous beating in the eyes of music fans. Ulrich, who was the main spokesperson for METALLICA in the Napster battle, has since become friends with Napster co-founder and current Spotify investor Sean Parker and even attended Parker‘s wedding. 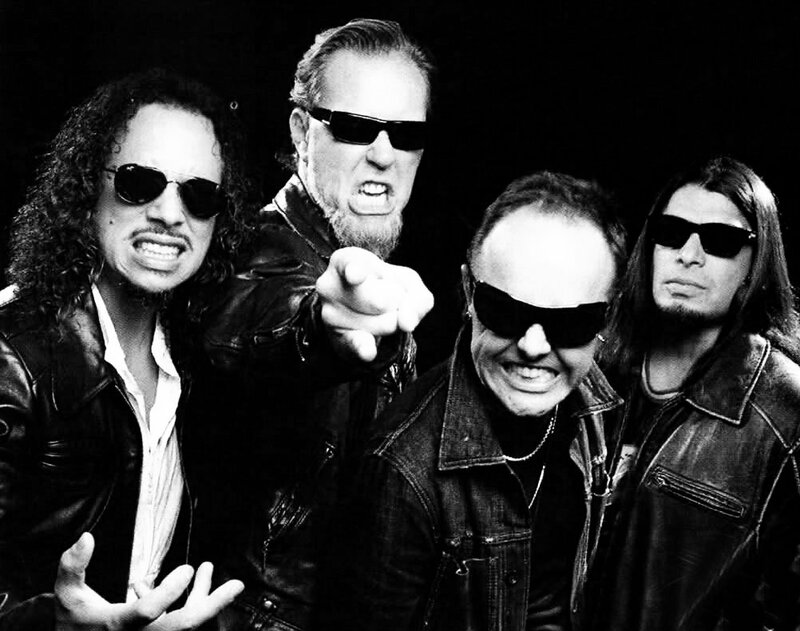 In December 2012, METALLICA made all nine of its studio albums, as well as various live material, singles, remixes and collaborations, available on Spotify. METALLICA is now able to make these deals directly since, as of 2012, the band has complete control over the master tapes of all its audio and video recordings. The band has also launched its own label, Blackened Recordings. METALLICA‘s tenth studio album, “Hardwired…To Self-Destruct”, is scheduled for a November 18 release. The long-awaited follow-up to 2008’s “Death Magnetic” consists of two discs, containing a dozen songs and nearly 80 minutes of music.